We pulled up anchor from Concepcion, Chile where we settled in for Christmas and New Years and made progress on our journey south as we visited the Chilean Lake District around Pucon and Puerto Varas — both of which were beautiful towns with stunning lakes set below snow-capped volcanoes. 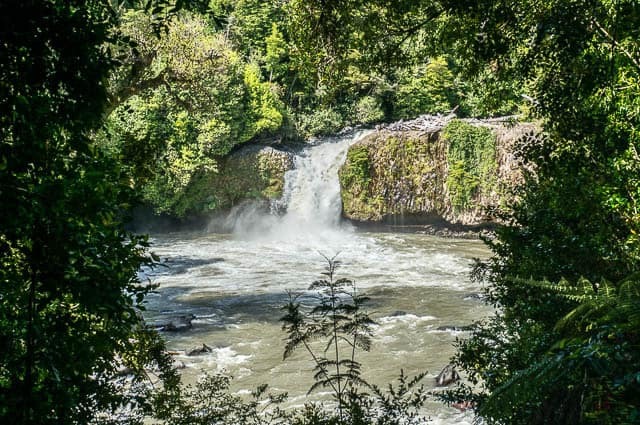 In particular I enjoyed Puerto Varas, and we spent an enjoyable few days just walking along the waterfront, eating Kuchen (which is a type of cake) and visiting little cafes. 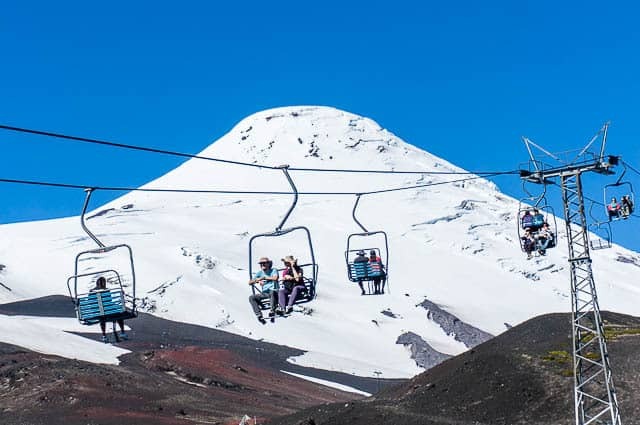 There was also the pleasant visit to Volcan Osorno with a commanding view of the lake below, and a somewhat pricey ride up the ski lift, which we decided to do since Andrea has never been on one before. Valdivia, while not in the Lake District, but rather back along the coast, was another highlight in this general region. There was something that just clicked about this quaint little German town, and it was far more appealing than Concepcion where we spent so much time. Ah yes, Patagonia! 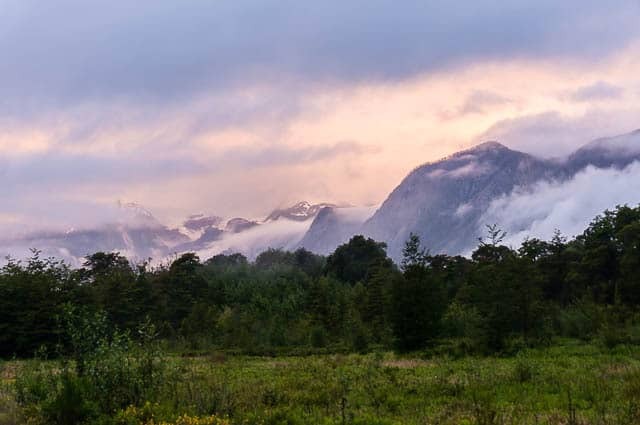 South of Puerto Montt is where Patagonia is considered to begin… A fabled and not very accessible land dotted by fjords, snowy mountains, numerous ferry rides, and more. 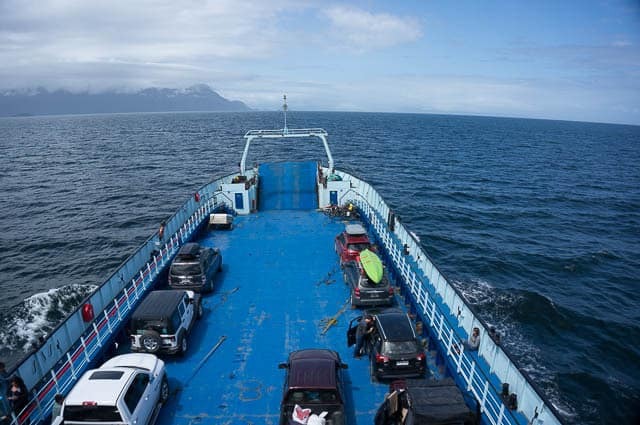 We took no less than four different ferry rides with the truck during this time, including one that was 5 hours long and another that was 7 hours long. 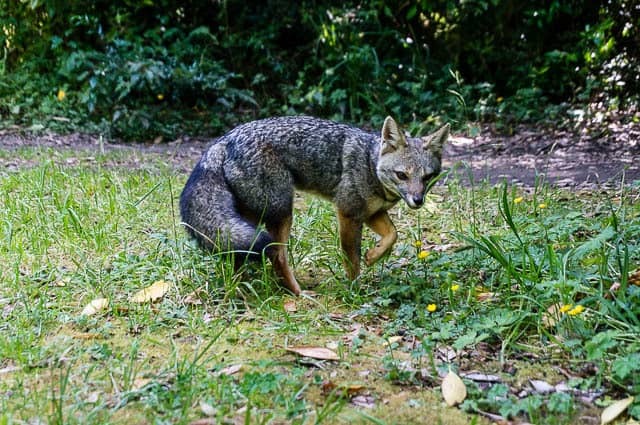 We visited the Pumalin National Park, which was created by the investments and philanthropy of Doug Tompkins, the guy who founded the North Face. 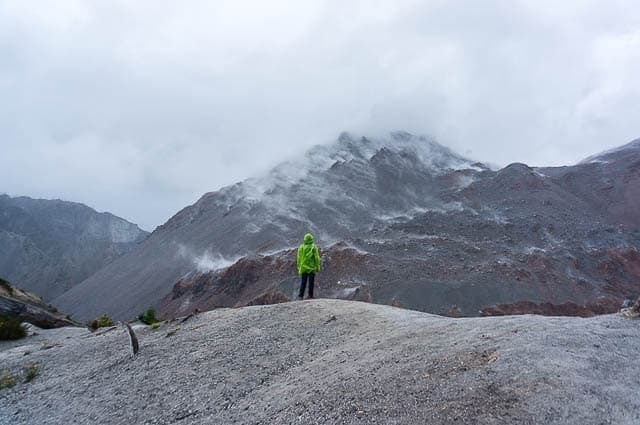 We hiked to the caldera of Volcan Chaiten which erupted violently in 2008 and still steams away today. The highlight of it all through the month of January would have to be the impressive Ventisquero Colgante — the hanging glacier — in Queulat National Park. 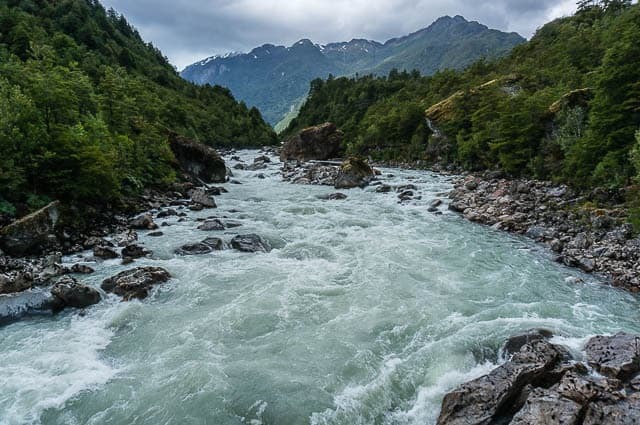 A short three hour round trip hike takes you to an impressive view point where waterfalls cascade down a steep granite precipice and a glacier hangs precariously above, occasionally rumbling and cracking. Did you know that propane tank adapters are different in every country? I’ve got the Coleman Two-Burner Propane stove which is perfect for camping, but the adapter hose I had is for US tanks. I did NOT buy a US tank, and I’ve been struggling with how to adapt it for use here in South America. I will save the details for another day, but getting it to work was far more complicated than I ever imagined, involving many different trips to the hardware stores of Puerto Montt and Puerto Varas. But ultimately I was able to cut the hose, find the correct regulator, and get my hands on a sweet little 2kg propane tank which is perfect for truck camping and cooking on the road. 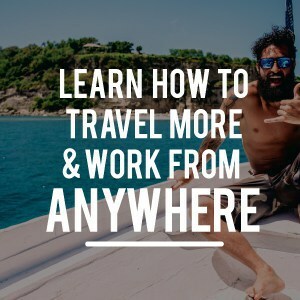 The biggest obstacle for most everyone when it comes to traveling more (or anything else for that matter) often boils down to money. Before you can build your travel fund, or consider quitting your job, you’ve got to get things in shape when it comes to finances. 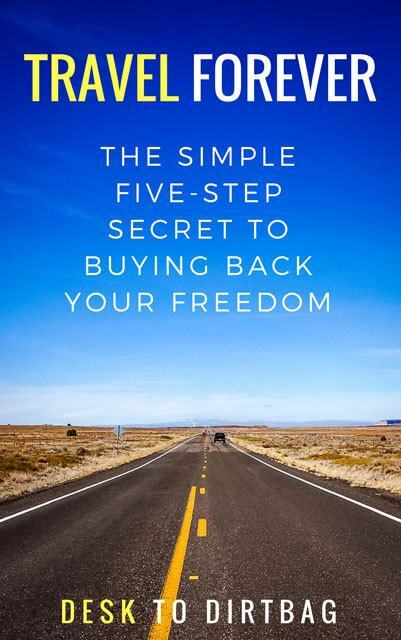 Long before I left on this nomadic lifestyle, I immersed myself in personal finance books. I would encourage you to do the same, or to take a refresher course if it has been awhile. 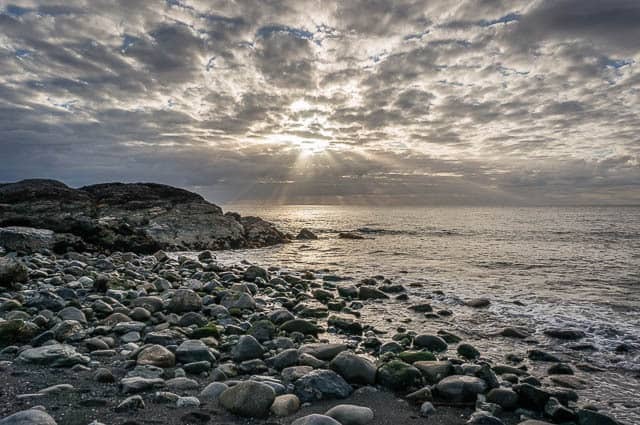 No matter whether you hope to travel or just buy a house, this information is crucial. 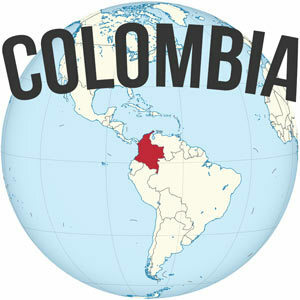 Things to Do in Bogota – Colombia’s Cosmopolitan Capital City <– It’s a big bustling city in Colombia that has a lot to offer travelers. 8 Amazing Things to See and Do in Peru’s Cordillera Blanca <– Peru is an incredible country and the Cordillera Blanca was probably my most favorite place of all. I honestly expected January to take a bigger dip following the normal December high, but this month was only 5.5% less than December, which is pretty remarkable. There were two factors at play: first was that Mediavine upped their revenue share from 70% to 75%, and two, visits to my site were on the upswing all month long as people shifted from holiday gift buying mode to planning their trips and travels during 2018. 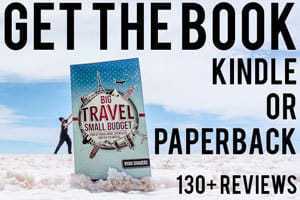 Sales of my book, Big Travel, Small Budget, were also one of the highest in many months, which was an unexpected surprise! It does not include income from freelance writing which is still my main source of income. Awesome work as usual Ryan! I love seeing the steady increase, its inspiring! 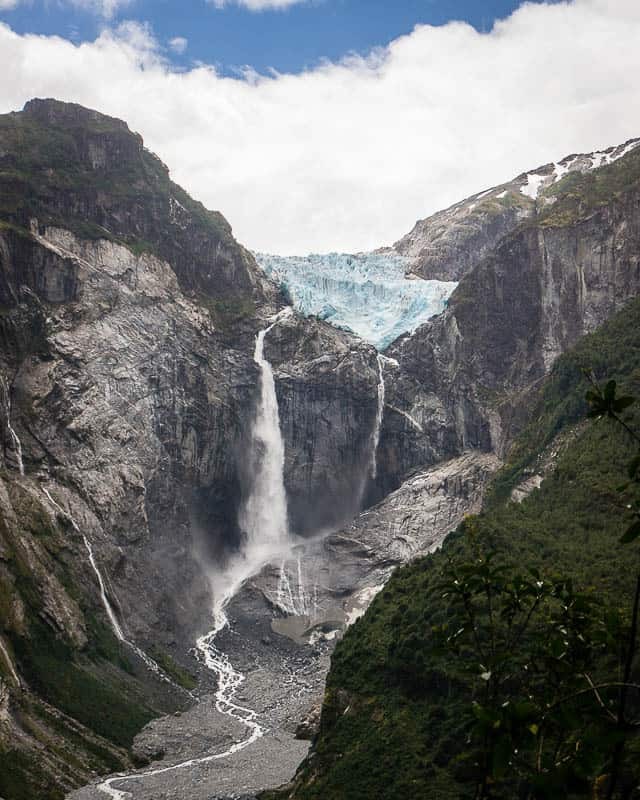 And that epic waterfall from the glacier. Far out this world has some beautiful stuff! I’m into week 3 after I quit my job and moved overseas to New Zealand. Living in the van and hopefully can keep living the dream. Referring to your finances posts and book is definitely helping keep me on track. Love it! I continue to find your journey inspiring. You are living our dream of traveling the world while maintaining enough of an income stream to fund your journeys. I really enjoy reading about your travels and seeing the pieces that you put together to make them possible. It’s been tough to actually work on the blog and update things from down here in Patagonia though — the internet is more miss than hit. Hopefully I will be able to put a few more pieces together soon. Amazing pictures man, that hanging glacier is beautiful… And great job on the income. My blog doesn’t have enough traffic yet to use Mediavine and I’ve yet to make a decision as to whether or not I’m going to put ads on it at all. But that’s some decent income. Yeah, I wasn’t stoked about putting ads on the site, but there are costs to running a blog and basically everything I do and publish is for free consumption, this just allows me to get paid for my work without costing the reader anything.